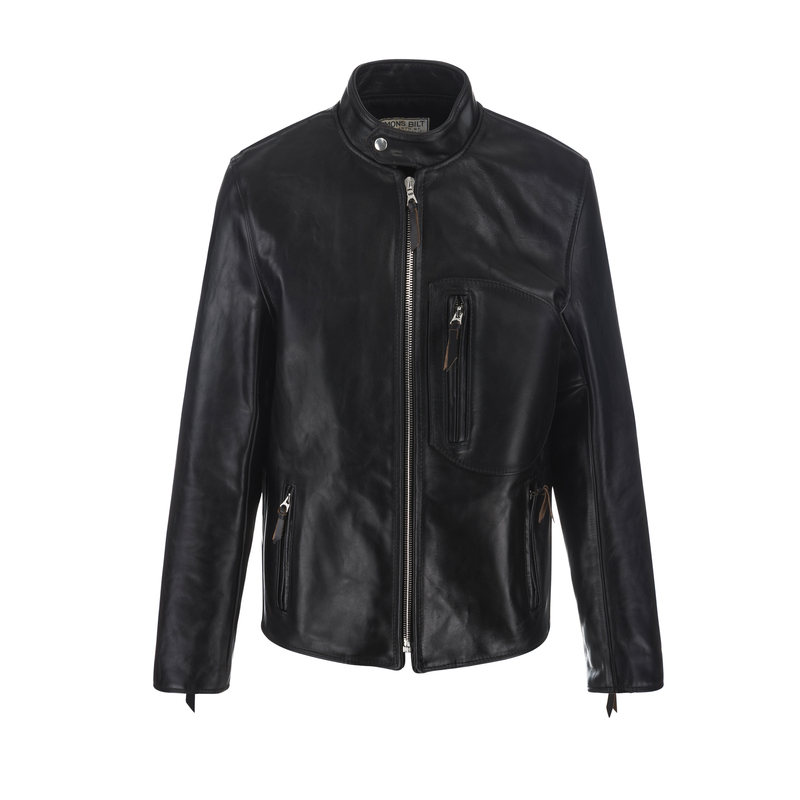 SIMMONS BILT is a time-honoured manufacturer of high quality leather jackets. Having started manufacturing in the early 1900’s in Oakland, California and ceased trading in the late 1930’s, they were regarded as one of the early pioneers in the production of leather jackets. They were also an early adopter of the new “zips closure” and used the ball & chain puller as their preference. SIMMONS BILT created some great leather jackets that today are very rare to find. Today SIMMONS BILT products are managed under the roof of a Scottish company called the Alexander Leather brand, founded in 2012. Through extensive research the Alexander Leather brand company managed to find enough information in the archives to enable them to form a template: The emulation of the craftsmanship employed back in the day at SIMMONS BILT was ready to begin. The newly branded SIMMONS BILT CLOTHING COMPANY combines the spirit of heritage and authenticity using traditional craftsmanship, a tip of the hat to the artisans of old. Their purpose is to recreate classic vintage inspired outerwear garments with everyday functionality and fit for the more discerning customer. Only the highest quality materials available are used, traditional craftsmanship with a focus on exceptional attention to detail – the result being a garment built for life that will develop character the more it is worn. And the earlier you start with it the sooner you will have it!